A small bag this week, with a pretty shock near-full marks for a new pizzeria in Temple Bar of all places and some other well-known restaurants receiving write ups, including Ichigo Ichie in Cork, Holborn Dining Room in London and Pearl Brasserie opposite Dublin’s Government Buildings. Jay Rayner’s Observer restaurant review is an ode to the pie at Holborn Dining Room and we couldn’t be happier. Carb-fuelled contentment is catching, even in the heat of summer and fewer times have we wanted to run to a place and order a big ‘ol pie. We must admit, we’ve long admired Callum Franklin’s pie game. In fact, for the entire year before we left London to return to Ireland he was the toast of the town, the apple of the Insta-illuminati, the kitchen bee’s knees. Bigger admission: we never got around to trying. We’re shamed to say. For total shame. 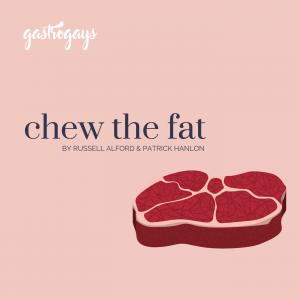 Rayner perfectly illustrates why we should be of such shame, beginning by applauding “Chef Callum Franklin’s pie-fetishising menu at the Holborn Dining Room, the restaurant of London’s Rosewood Hotel”. 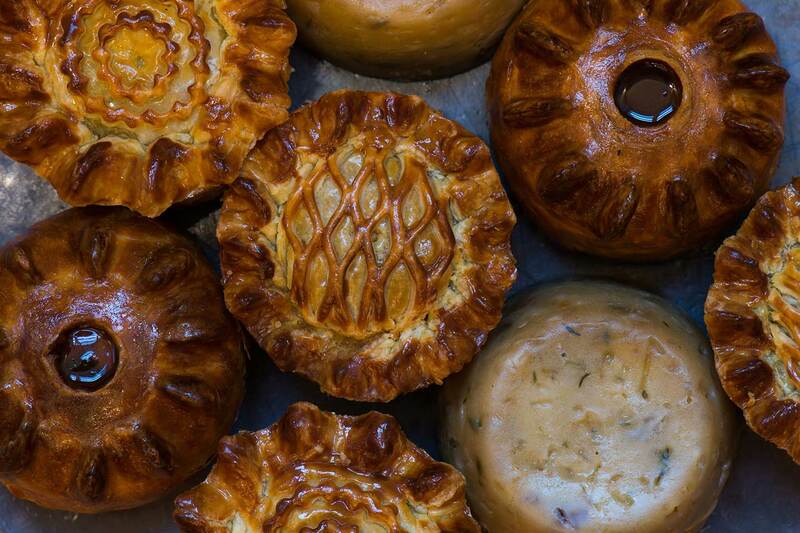 Generally, of pork pies, Rayner continues: “I love the interplay of crisp, animal fat-boosted hot water pastry, the dense meaty filling, punched up with white pepper, and then the jelly, reintroduced back to the tight cavities from which it has leaked during cooking.” TBH, SAME. “That glorious number costs £20, with gravy, and will set you up for the day.” Rayner further cements his argument. “If you can get a cheaper one at your local pub, go right ahead. It won’t be any good… It won’t come with brilliant gravy. 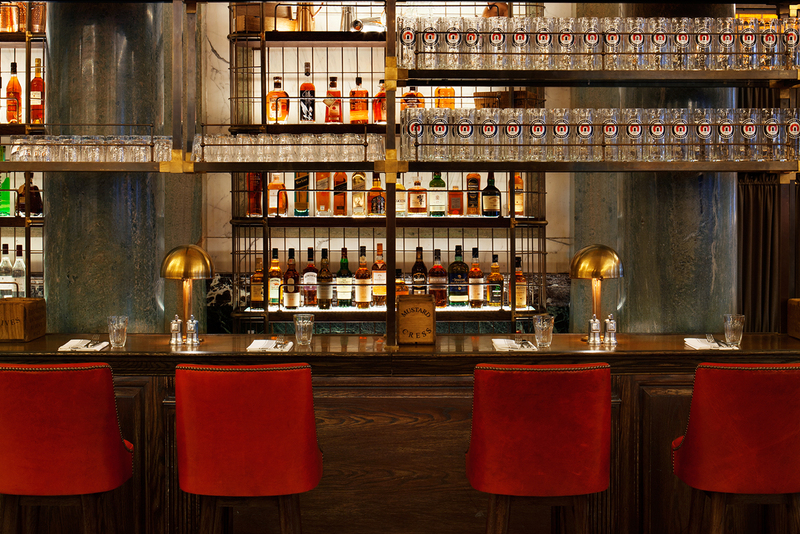 It won’t be served hot and you won’t get to eat it in a bustling brasserie with leather banquettes and shiny bits of brass, lots of parquet and hanging lights with bare filamented bulbs. It won’t be served to you by gorgeous waiters wearing tartan trousers. 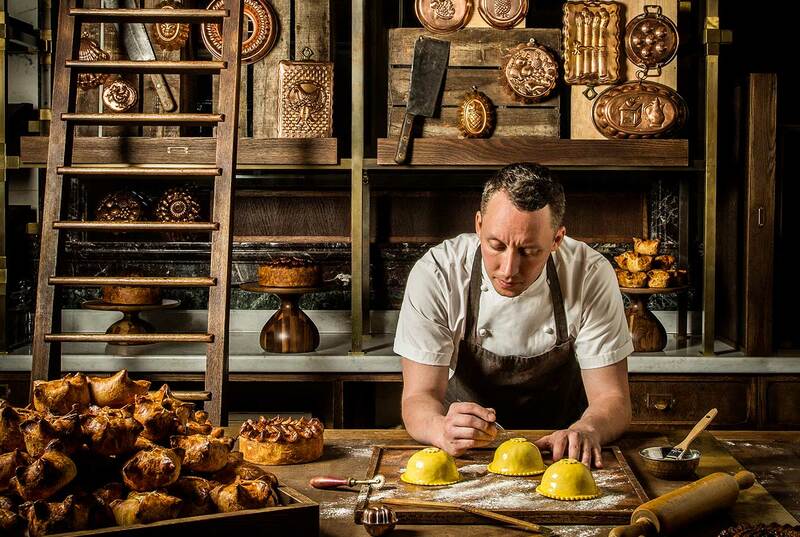 And your pub won’t have a dedicated pie room, full of honey-coloured pie moulds, waiting for Franklin’s brilliant pastry-clad wonders”. Admitting ignorant defeat, Rayner writes: “It’s like there was a shop making beautiful shoes that would fit me perfectly all along but which I ignored in favour of someone flogging awful floppy loafers”. “I feel stupid for not having come here before.” Same. From being the first to review the debut critically-lauded Miyazaki restaurant in Cork to being slower off the mark writing up the Japanese chef’s standalone sit-down, fine dining restaurant, Tom Doorley reviews Ichigo Ichie in his Irish Mail restaurant review. There’s problems though, in fact, two of them. 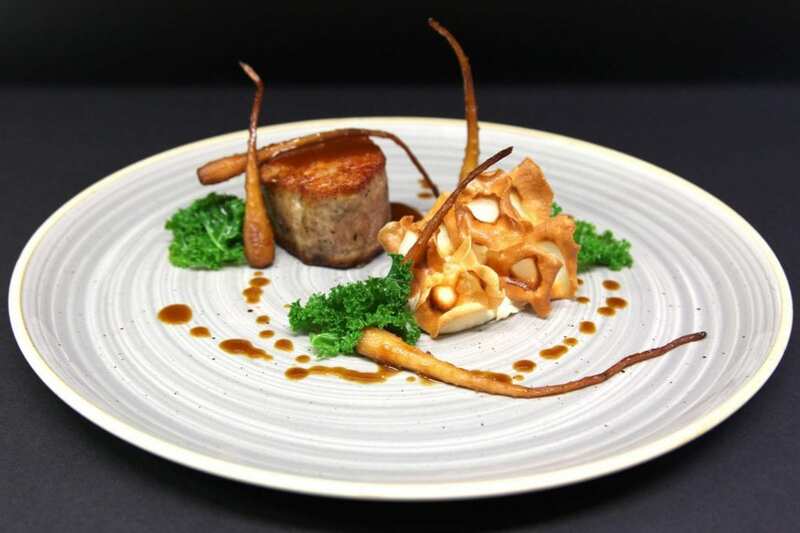 “Being no expert on the flavours of Japanese cuisine I can only tell you what the dishes did for me,” and Doorley goes on to describe each dish of the tasting menu experience but also warns that the other problem is that “I’m afraid that I can’t do full justice to them within the space available – it’s not often I have this problem here”. So we know it’s incredibly special, almost life-affirming dining anyway and Doorley does little to sway from that. In terms of a review, it’s more a surmising of the flavours of each dish (and there are a lot of them) with a short comment on whether the flavours worked or stood out. Most seem to be balanced, light perfection. Doorley does criticise though – commenting on overly intense flavours once or twice and that dish upon dish his tastebuds found it “hard to keep track”. The lowlight was the ‘rice, corn, eel, sansho pepper’ dish which was “deeply savoury and slightly sweet” but that Doorley reckons it didn’t work, “I think I reacted against the sweetness meeting fishiness”. “The nearest comparable restaurant is The Araki in London,” Doorley proclaims in the ‘in brief’ bit at the end. 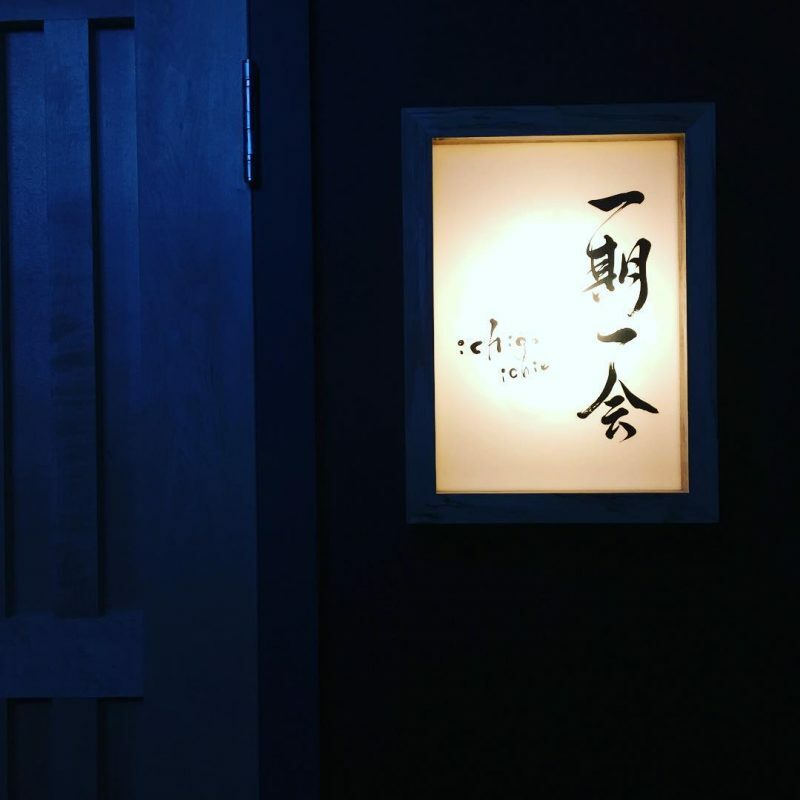 Said restaurant is 3 Michelin-starred, so that’s a fairly confident nod that Miyazaki should be awarded at least one star next time the Michelin man rolls into town. 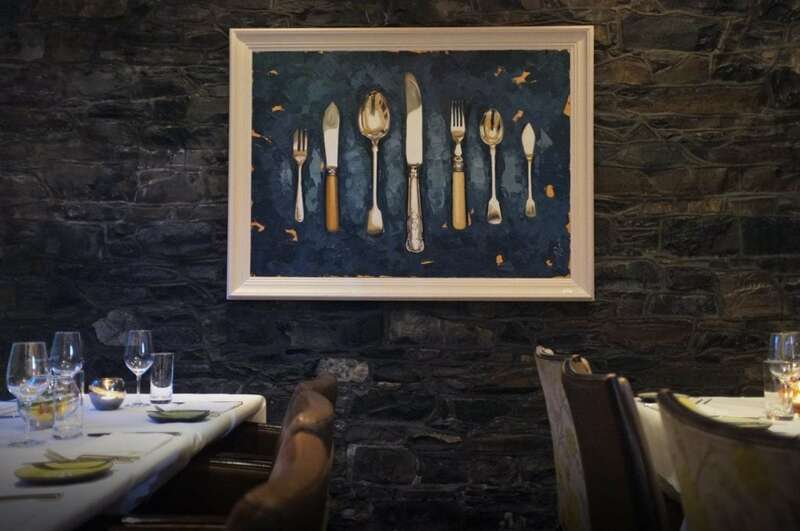 Catherine Cleary applauds value – that’s the doggy bag takeaway of the Irish Times restaurant review of Pearl Brasserie this week. It all sounds a bit ‘meh’ in terms of dishes and flavours, if you’re asking us, but the upshot is – it’s good value; “prices for people who are paying their own bills rather than whacking it on the company credit card”. “Lamb shoulder is not a typical starter ingredient but here it’s pressed and rolled into spicy lusciousness… served on a disc of cous cous, studded with well-chopped spring onions [sorry, what?] and a juicy yellow raisin or two… the whole thing is a combination of lightness and heft.” We’ll take your word for it. Doesn’t sound too convincing. Another dish eaten is “the crab meat, a tall tian topped with a cucumber slice of sweet thready meaty islanded in the middle of a tomato gazpacho that is pure Mediterranean holiday in food form… cubes of compresses watermelon take it to sunnier levels again”. A further fish dish tried is the “luscious slab of organic fish with crisp skin sits in a dashi with spinach, cucumber and small clumps of spicy tofu that look and eat a little like tempura oysters”. Onto desserts, “a tartlet… might be one of my favourite things about Pearl… perfect size, enough creamy sooty chocolate sauce in a pastry case with hazelnuts to satisfy a sweet tooth craving without sending you slumped into the territory of too much”. “Pearl Brasserie is well worth a revisit,” Cleary writes. “It’s the right mix of fresh ideas in a proper traditional occasion restaurant, heart warming without the coronary when the bill arrives. 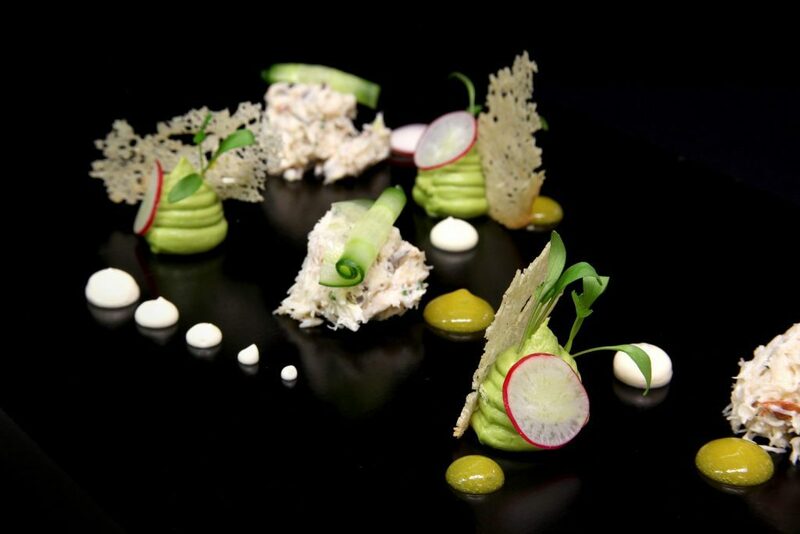 A two-course lunch with a glass of wine each and shared dessert was €76.50. “Reassuringly relaxing” is the ‘in briefs’ moment of the column. Not reassuring enough for us, sorry. Katy McGuinness waxes on how we’ve all become positively Mediterranean in approach amidst this “balmy” weather Ireland is basking in, so naturally tastes turn a bit ‘Med’ heavy and to pizza at Sano – a new pizzeria which is the subject of the Irish Independent Weekend Magazine review. 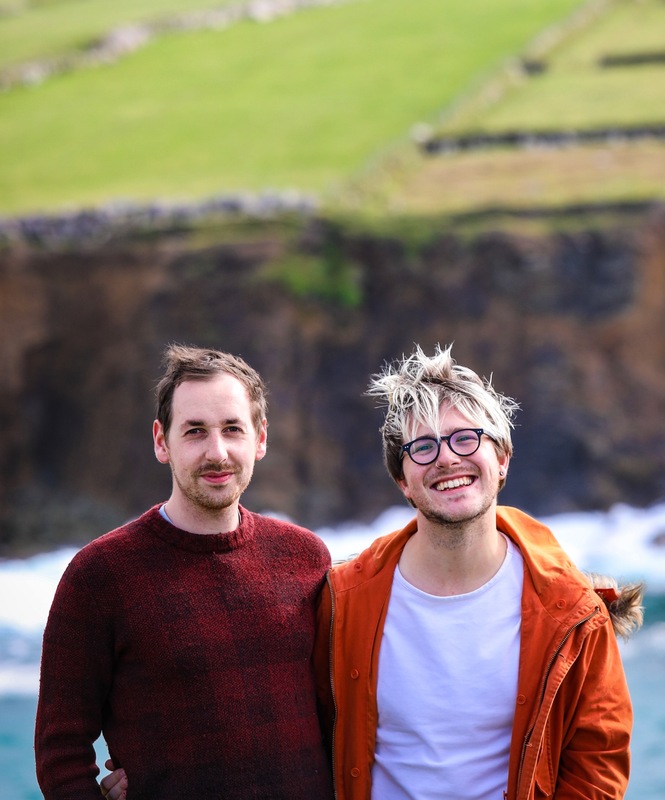 “I think that these are simply the best pizzas I’ve eaten in Ireland,” it’s exclaimed. 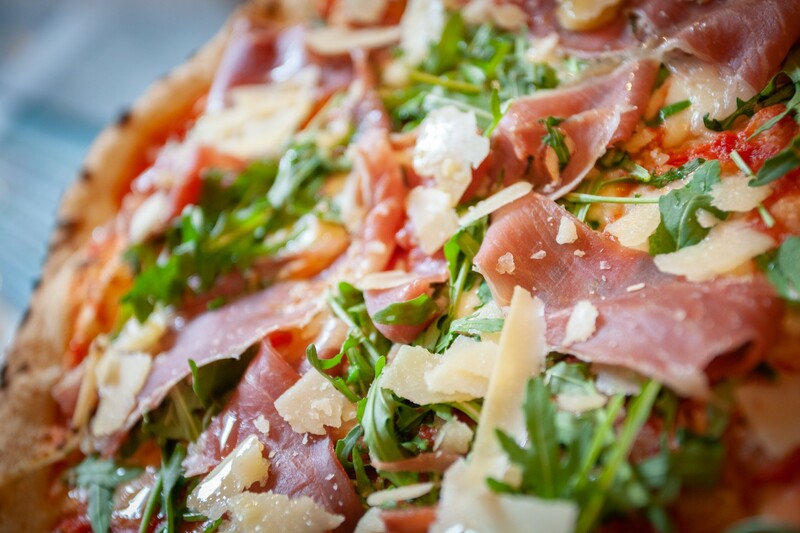 Let’s talk about pizza in Dublin CC for a second. We like Cirillo’s, have been known to grab a DiFontaine’s slice every so often and we lust after the burnished doughs and heavenly toppings of Dublin Pizza Co. We used to adore Skinflint but on the last two occasions have made misjudged menu choices and left seriously wanting. We’ve heard nice things about Gaillot et Gray, but not yet tried. Also seems that Dollard & Co do a good trade with their in-house, posh pizzeria. 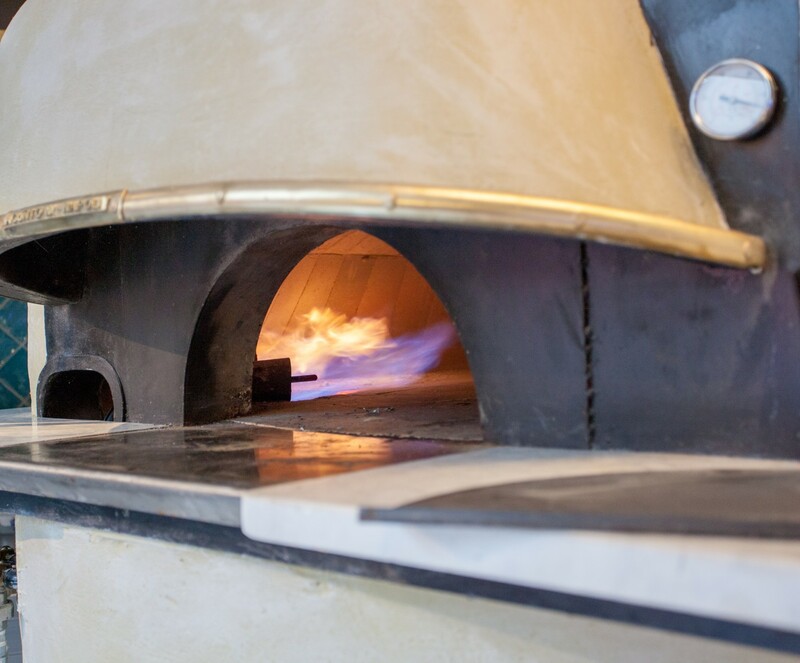 Fallon & Byrne‘s newly-opened Rathmines branch has a fabulous pizza oven section which we enjoyed a week or two ago. 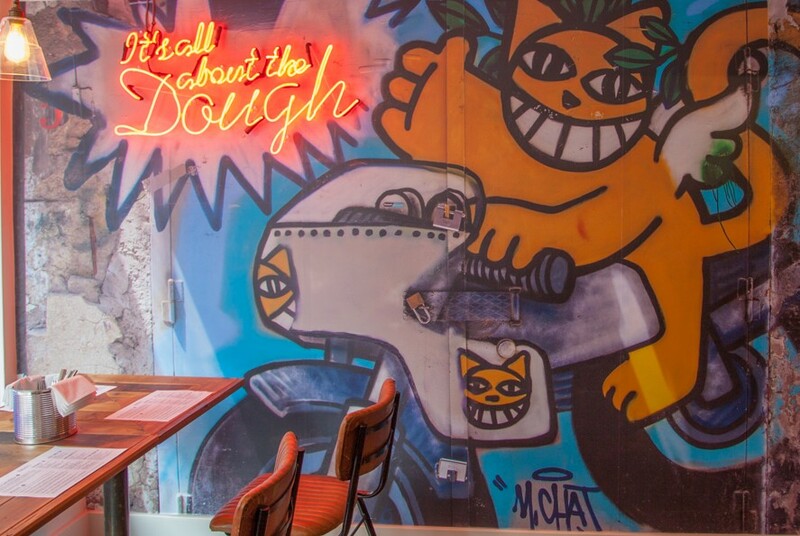 Then there’s new opening du jour Forno 500º (fresh from a HEAVY press season) and the even-newer pizza place Pi on South Great Georges Street, which is currently occupying every third tweet and Insta story on our feeds since it opened this month. All of that before we even leave the confines of the city centre and actually almost all of those are within stone’s throw of one another. Does Dublin really need another? Then there’s the question of Temple Bar. 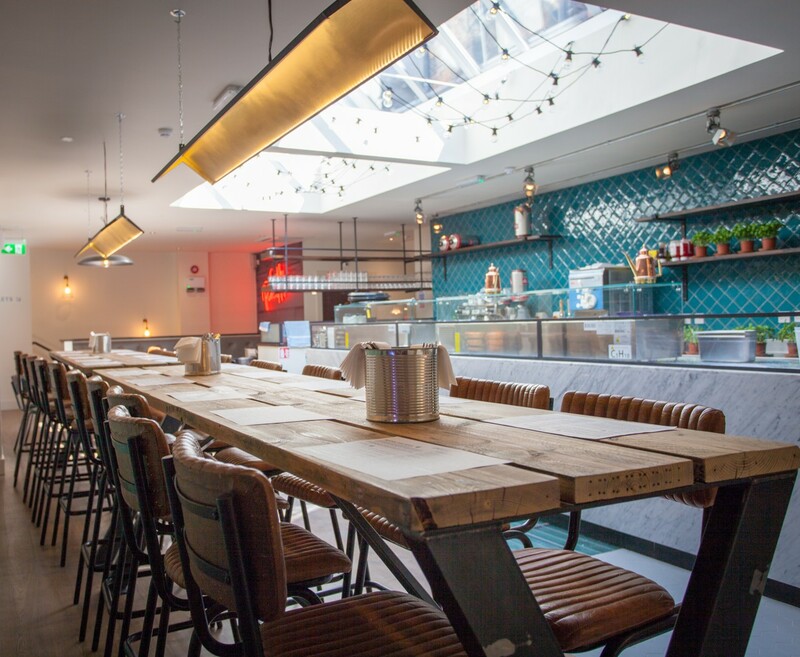 Is it really the dregs of Dublin dining? We don’t think so, necessarily, because we feel if you look beyond the surface there’s real substance there and we’re working on a feature about this very topic to put it all into context. 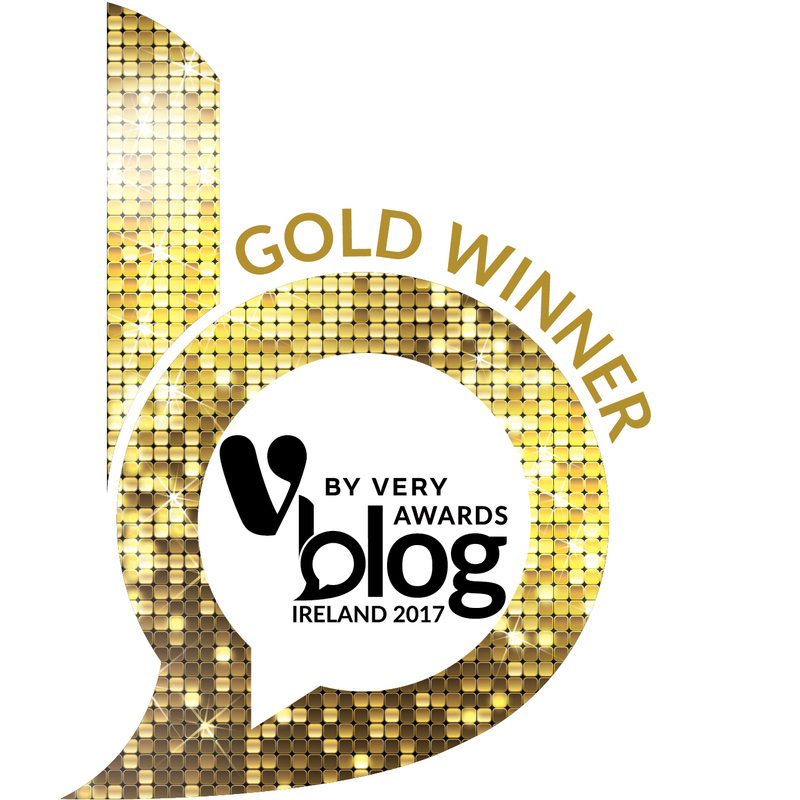 But back to the writing at hand – because this review combines both pizza and Temple Bar, so it sounds car crash-worthy and turns out to be a real feel good heartwarmer! “Much has been written about the dispiriting food offering in Temple Bar, and it’s not a part of the city to which most Dubliners think of heading in search of something good to eat,” McGuinness writes, though rightfully shouts out both Niall Sabongi’s stable (Klaw; Seafood Cafe as well as Bunsen and Chameleon. McGuinness continues, endeavouring to answer a question she’s asked regularly: “where’s good to do for a cheap and cheerful dinner in Dublin city centre?” From “a list of place to which I send people,” McGuinness reams off as we nod in agreement – anywhere by Joe Macken operates (Hey Donna, Skinflint, Crackbird), anywhere by John Farrell (777, Luna or the now-closed Super Miss Sue) and McGuinness now adds Sano to her list. “I’ve been spotting enthusiastic mentions of [Sano] on Twitter for a while,” McGuinness explains, adding: “Sano occupies the ground floor of the Skylab building on the corner of Exchange St Upper and Dame Street, close to City Hall. If I’m not mistaken, the ground floor space has been unoccupied since the mid-Noughties.” We had never heard of Sano, save for a press release and invite to a “tasting” evening back in May when it opened from a UK-based PR company, for which Sano is a client. “It’s a short menu and Sano is definitely a pizzeria rather than a restaurant that serves pizzas, so don’t pitch up hoping for other options,” the writer advises. The antipasti platter is good, save for the lacklustre cherry tomatoes. The pizzas, all Neapolitan in style, are “soft and pillowy… proved for 48 hours… chewy, generous, blistered, full of flavour, gorgeous” and their table tries three. A Margherita, a Rucolo and the favourite Sapori topped with fennel sausage, ‘Nduja and Italian broccoli. “Not only is it really, really good, it’s also really, really cheap,” McGuinness declares, before adding “it’s full of Italians and Italian chat… it feels as if we are in Italy”. At an impressive 27/30 with full marks for value and near top score for food, this is up there with the best of them. “Sano and its smiley staff are a delight. I don’t know how they make food this good for those prices but I am delighted that they do,” the review ends. 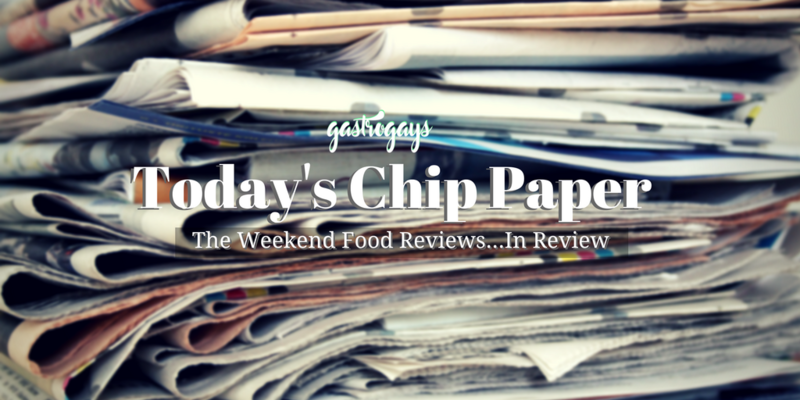 Today’s Chip Paper returns next Monday.